Anderson Design was founded as an exterior restoration company. Over time we realized there was a real need for honest and a top quality kitchen and bath remodeling in San Diego. We used our extensive contracting experience and high work ethic to add kitchen and bath remodels to our top services offered. Since then we have evolved into a leading Kitchen and Bathroom Remodel Specialist in the San Diego area and beyond. Our attention to detail and overall professionalism separates us from the competition. Please don't take our word for it, see what our clients say about us. Our mission is to provide the highest quality craftsmanship, finest materials, and outstanding service to our customers. The three projects that will most increase the value of your home are: 1) Exterior Curb appeal 2) Kitchens 3) Bathrooms. 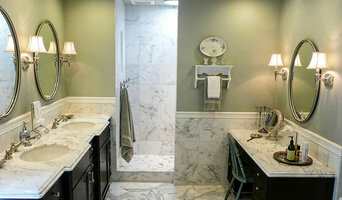 We specialize in all three them, with two being the most active rooms in the home: the kitchen and bathroom. This specialization gives us the expertise to satisfy your design and remodeling needs with the highest standards of professionalism. The marketplace for exteriors, kitchens and bathrooms is constantly changing; we are always aware of the latest trends, and can recommend the most relevant design and remodeling options to our customers. We offer the full range of exterior, kitchen and bathroom remodeling, from historical exterior face lifts, kitchen additions to luxury bathroom designs. We become a partner with our customers. We listen to their input. We make recommendations. Together, we achieve the result of a beautifully remodeled exterior, kitchen or bathroom that our customers will enjoy for years to come. As experienced professionals, we provide innovative design techniques and state-of-the-art products. Our customers have the peace of mind knowing that the completed project not only adds value but harmonizes with the rest of their home. 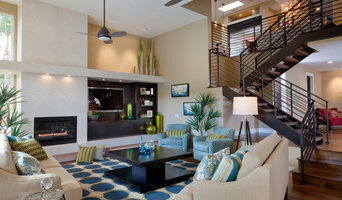 Anderson Design business philosophy is based on a passion for delivering excellence and complete customer satisfaction. Elena has a background in psychology which lays a great foundation to build a design that reflects her clients style. After earning a BA in Psychology, Elena completed a BFA in Interior Design from CIDA-Accredited Design Institute of San Diego. After gaining experience and refining her design aesthetic at a few high end residential firms, Elena opened Woodhouse Creek Design in 2015. As the principal designer, Elena's distinctive style blends classic elements with clean lines, texture, and quiet elegance to create relaxed, dynamic spaces. She believes a well designed interior is collected, refined and timeless but ultimately represents who her clients are and tells their story. Elena guides her clients through the design process, so that each space is one-of-a-kind. We have designed and installed gardens from New York to Chicago to California for over thirty years. We co-create exquisite gardens that harmonize with the environment, through active listening to people and place, thus deepening our relationship with nature and each other. We are located in the City of San Diego. We serve all of San Diego county and beyond. John Beaudry and his team have been helping people build, care for and understand their gardens for over thirty years. We offer sustainable landscape design, installation and maintenance. We specialize in historic landscapes. Our approach is twofold. It involves honoring classical themes in landscape design and architecture while suggesting plants, materials and methodologies that help to stabilize, improve, and restore ecosystem services. Design + Build in a variety of styles award winning fences, gates, decks, pergolas, outdoor structures. Also provide a variety of handyman services. We are committed to providing excellent customer service! We are a family owned and operated business and we take the time and care necessary to help you select the BEST floor for your home. We care about the environment and have a special program to help educate you on how companies are trying to GO GREEN! We are on a back street and run a tight ship, but YOU benefit from our experience and consistently high quality service! Geneva Flooring is a Laminate Flooring and San Diego Hardwood Flooring Dealer. We have recently remodeled our showroom to help show a complete selection of Hardwoods, both domestic and imported. At Geneva Flooring, San Diego Flooring Installers, we also specialize in educating the customer about the many types of engineered and solid Hardwood, Laminate and Bamboo Floors now available to the consumer, in an effort to be certain they have had an opportunity to truly select the very best floor for their own family's needs and expectations. We are woman owned and operated. At Sage Outdoor Designs, you will work directly with principal landscape designer Kate Wiseman, whether you chose to do a two-hour design consultation or a full landscape plan. Kate is known for her strong design background, creative problem-solving, and developed listening skills. She specializes in the design of comfortable outdoor living spaces, but is qualified to design anything outdoors, including pools and water features. Her designs have been widely published both locally and nationally, including San Diego Home and Garden Magazine and Better Homes and Gardens: Outdoor Rooms. BuildMasters Contracting, Inc. is a veteran owned business serving San Diego and surrounding areas for over 25 years. Our deep understanding of contracting and customer service has allowed us to deliver high end services without stretching your budget. Even if you're the kind of person who makes everything a DIY project, there's always a point when a home remodeling or decorating project could use a professional set of eyes. Whether you are redoing your backyard, need some help planning your living room or can't figure out where to put the kitchen sink, a quality home professional in Bonita, CA can help you do it right. Hiring a qualified Bonita, CA home professional puts their years of schooling, certifications, training and experience right at your fingertips. But before you start sending out dozens of emails and making phone calls, sit down and think about your project. What's your budget? What is the scope of your project? 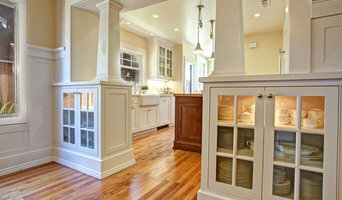 Will you need more than one type of professional to complete your home improvement project in Bonita, CA? Can you afford to complete the full project now, or should you tackle it bit by bit? 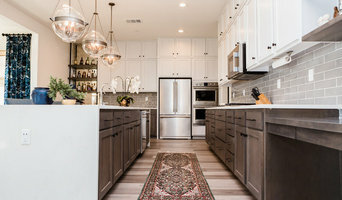 Once you've settled on your project’s priorities, budget and scope, it's time to start researching Bonita, CA home design professionals. Don't sell yourself short and settle on the first professional you set your sights on. Make sure that you're working with someone local, who can get to the jobsite easily and efficiently. Look into the person’s reviews, ask to speak with former clients and to see previous jobs in person. Take a good look at their portfolio photos: How similar are these projects to your own? Be honest — that mansion might look beautiful, but it might not have a lot in common with your little bungalow. Reach out to multiple professionals — especially for larger projects — and don't settle for the first bid you hear. Comparing multiple Bonita, CA professionals' bids and experiences can help you find the one that’s best for you. Ask a lot of questions now, so you won't have unexpected answers later. Find a home design professional on Houzz. Narrow down your search by type of professional and location. Browse Bonita, CA portfolio photos, read client reviews and contact each Bonita, CA professional for more information. Check out the information in the specialized professional sections too for tips on how to hire the right professional for your project.